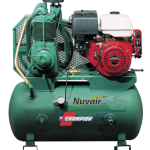 Nuvair manufactures standard and customized low-and high-pressure compressors with a wide range of commercial applications in industries like manufacturing, refrigeration, and painting. We compress air and CNG; we generate nitrogen and nitrox to meet your industrial needs. Nuvair is an authorized Champion, CompAir, Quincy, and Hydrovane reseller. You can visit any of the manufacturers sites we represent and provide us with a make and model you would like quoted. 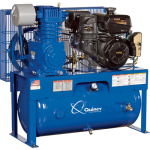 Below, left is an example of a custom-built Hydrovane compressor for a large dental office. 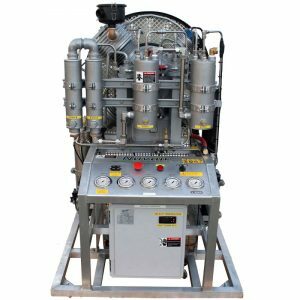 Below, right is an example of a custom low-pressure 500 psi (34 bar), back-up compressor we built for the offshore gas and oil industry. 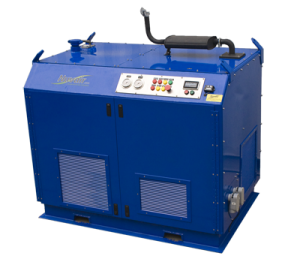 Stock or customized, our compressors have commercial applications in automotive, manufacturing, painting, medical, refrigeration and more. 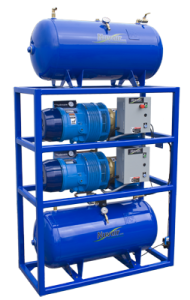 We have a range of compressor options to meet your needs. 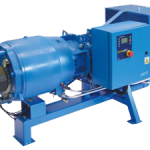 All of our breathing air high pressure compressors can also be used for industrial purposes. Click here to see our high pressure line. You can also contact us by email with a specification list, i.e. Intended use, power requirements, flow rate, and maximum pressure needed. Contact Nuvair by phone during our normal business hours: Monday-Friday, 8:00 a.m. to 5:00 p.m. PST.